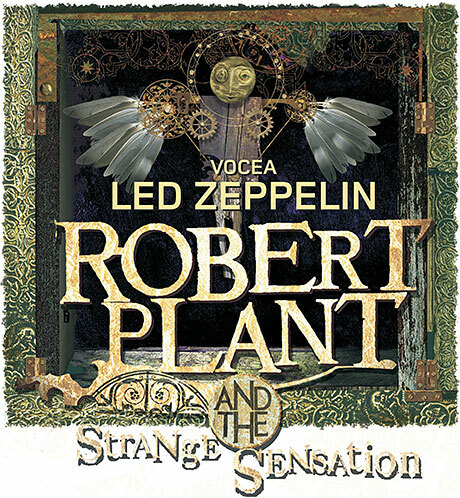 Tomorrow night we’ll have the privilege to see the great rock legend Robert Plant performing live in Bucharest. I’m very excited and I can hardly wait. I hope it will be great. I haven’t followed his music in the recent years, yet even if I (supposedly) don’t like it, it’s going to be a great show, performed by true musicians. A must see. I’m a little bit concerned about the location though. It’s going to take place in a parking lot and it’s going to be the show that concludes a series of live performances starting today with some (crappy) Romanian bands. I’m really curious about the acoustics in that parking lot. But I’m more concerned about the seats. I’ve bought the so-called VIP seats because I wanted this concert to be a surprise and birthday present for Crenguţa, and of course there was no way to get her standing for several hours into a crowd of thousands of crazy rockers. The website I bought the tickets from had a really bad schematics of the stage and seats areas, one thing being clear though: the seats are at an angle from the stage.But there was no way to tell how the visibility is going to be. But we’ll see. I forgot to tell you that my friend Irina is going to be there with us, so if everything goes well you should soon see some good pictures of the performance. Stay tuned!